Lest we forget, most of Lord Kataragama's devotees are poor. It is said that the Lord Himself moves unnoticed, often in the guise of an andi or beggar. The Ceylon Daily News of l2th February 1991, in a brief communiqué from a 'special correspondent' entitled "Plea to help check beggar menace", reported that security officers were finding it "impossible to keep off beggars from the sacred area because of lack of cooperation of pilgrims and the unruly behavior of beggars who harass and abuse them." Pilgrims were therefore urged to "abstain from treating beggars in the sacred area." This, it appears, represents an embarrassing misperception on the part of security officials and press correspondents alike. For, little known to them but well known to connoisseurs of Kataragama's diverse oral traditions, Kataragama is a beggar's shrine to something or someone who also appeared there in the guise of a beggar or faqir (literally 'poor man'). And so it remains to this day. If this were only an anomaly by misinformed observers it would not be nearly so serious. But instead it is unmistakably a symptom of official governmental policy in this country. The decision and orders came from far away, from policy makers in Colombo who know far less than they suppose about an enchanted environment now targeted for 'development'. 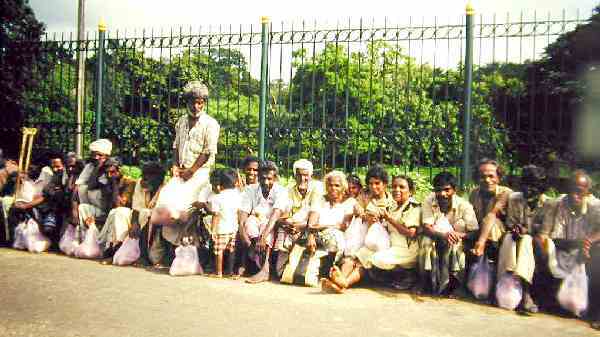 For them, the beggars of Kataragama represent a menace. 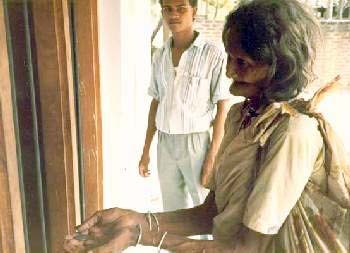 I, too, wish to caution the public with respect to the beggars of Kataragama, whom I have studied with great interest for the past twenty years. Do not treat them with disdain or contempt, but salute them with care and remember that they are the god's own servants and spies. This is no exaggeration, nor is it meant in jest. The proud and haughty who sneer at this god's servants, others who know net what secrets have been entrusted to others, do so at their own risk and peril. At the very least, they should remain summa -- quiet. 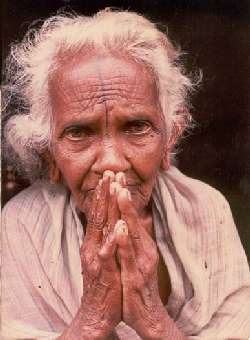 Among the beggars of Kataragama are also the poor, the meek, and the humble who, it is said, are the closest to the god. 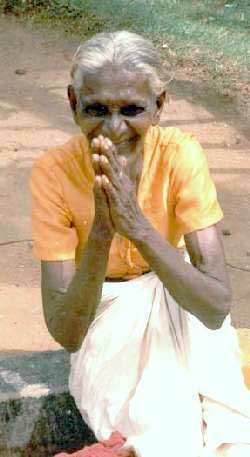 God Kataragama himself has appeared repeatedly to people in the guise of an andi or itinerant beggar, and the many who have seen him swear to it by their lives. Kataragama, let us not forget, is still a living tradition of divine mysteries for the initiated. Are we then to believe the custodians of these traditions themselves, or the urbanized modern-educated 'authorities' who lord over them? But some of Kataragama's beggars are said to be unruly and abusive. Surely they deserve to be flung out and prohibited from returning until they dress and act as model citizens? Yet here again let no one forget that the mighty god himself is also well-known to be a thief, seducer, cheater, play rogue and, according to some, mischievous scoundrel as well. One wonders what these authorities would do if ever they were to apprehend the master beggar and chief rogue himself. Would they try to press charges of unruly behavior or would they try to charge him with impersonating himself? Would they try to lock him up behind bars, or would they be content to evict him from the sacred area once and for all? Do they realize that they have taken for themselves the role of Kataragama's dupes, the clowns of Murugan's Circus?  There is now more than ample evidence to illustrate the continuity of a living mystery tradition of unknown antiquity predating the arrival of either Sinhala or Tamil settlers that persists even today in the face of official intolerance and incomprehension. Kataragama has always been a wild, magical place on the very fringe of civilized society. Is this what modern-educated Sri Lankans have been taught to despise and destroy? Perhaps it is also symptomatic of the great conflict between modernity and tradition. According to this same (imported) school of thought, begging is a degrading activity; beggars deserve to be 'rehabilitated' and prevented from doing whatever offends the custodians of modern morality. But traditional oriental thought in general and Sri Lankan tradition in particular regard the beggar or ragged-looking stranger with the utmost courtesy and hospitality. 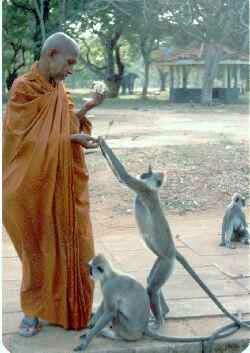 Atithih devo bhava -- regard the sudden guest as god--was the refrain. Lord Buddha also addressed his companions not as 'reverend sirs', but as bhikkhus -- a word directly cognate with English beggar and having precisely the same meaning. Members of this sublime fellowship were expected to wear robes of rags patched together and wander the earth freely begging alms for their meager livelihood. How times have changed since then! From where, then, have Sri Lankans been taught to regard begging as a shame and a disgrace? And since when has Kataragama of all places become off-bounds for such ritual activity? Is it another sign of the much-vaunted 'progress' that we are still waiting to see? Or is it another intrusion of effete modern morality upon the time-honoured traditions of a calmer, gentler and more mature civilization? The people who feel that Kataragama is a disorderly place plagued by beggars, cheats and humbugs are precisely those who, fundamentally, do not believe that god Kataragama watches over his own to see that justice and fair play prevail. Instead, they feel a need to dictate and impose their own set of profane rules upon a magical kingdom that they neither see nor believe in. In their scheme of things foreign to Kataragama, "correct information to the devotees" is to be had from an information unit of the Urban Development Authority, which has published nothing for the public because it has nothing like this to offer. Long-time swamis and faqirs are harassed and threatened with imprisonment for daring to offer guidance to foreign visitors without a government license. In their place come young, 'tourist guides', Government-sanctioned untrained touts given official employment through the coveted (and taxable) license scheme. Kataragama, the tradition says, shelters a great underground university into which earnest devotees can still gain entry to this day if they are only fortunate enough to find it. In a time when the nation is struggling to cast off the shackles of colonial ways of thought, it is disheartening to find such great centers of traditional thought as Kataragama still under attack from well-meaning but misinformed friends who know not what they do. Let us, therefore, call a halt to an ill-conceived campaign before it succeeds any further in eroding a living heritage that has already died out in much of this disturbed, unhappy world. Kataragama remains the god's own playground whether we moderns like it or not, and is likely to remain so long after we are gone. Rather, it is time that we identify and root out the real menace in Kataragama. Patrick Harrigan (M.A., University of Michigan) has been acting editor of the Kataragama Research Publications Project since 1989. Send your comments to the editor.